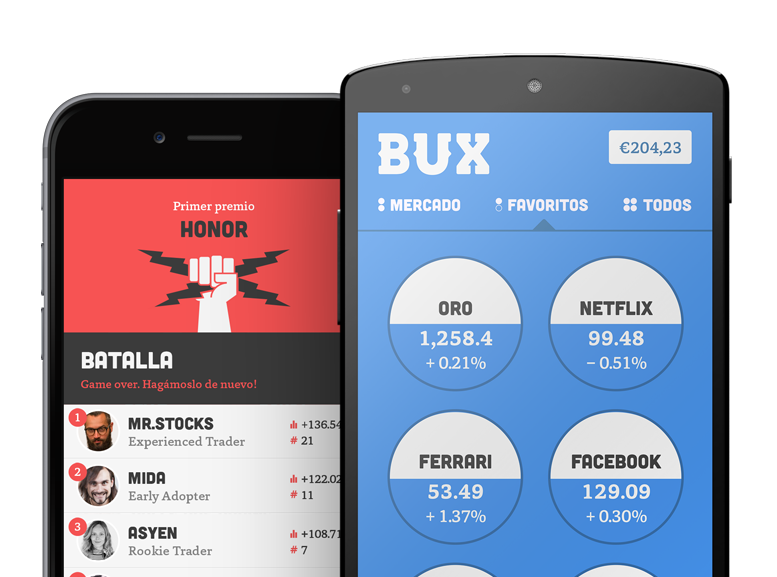 If you’ve been practicing with funBUX for a while, and you feel you have a good understanding of how trading works with BUX, you can switch to a seriousBUX account, that is to trading with real money. All you need to do is go to your % screen, select CASH and then UPGRADE TO SERIOUSBUX. Among others, you will need to upload a valid ID document and answer some questions we need to ask you as a regulated financial company. Altogether, it does not take more than 5 minutes, unless compliance checks need to be performed (extremely rare case). Of course, you can switch back to funBUX whenever you want, just by withdrawing all your balance back to your bank account and hitting the go back to funBUX button. In case you wondered: with seriousBUX everything works exactly the same as with funBUX, but now your profits and losses are real! Want to know more? Check out the BUX blog for more information on what it's like to trade with real cash! Questions? Drop an email to BUX Support.